From February 17-19 only! 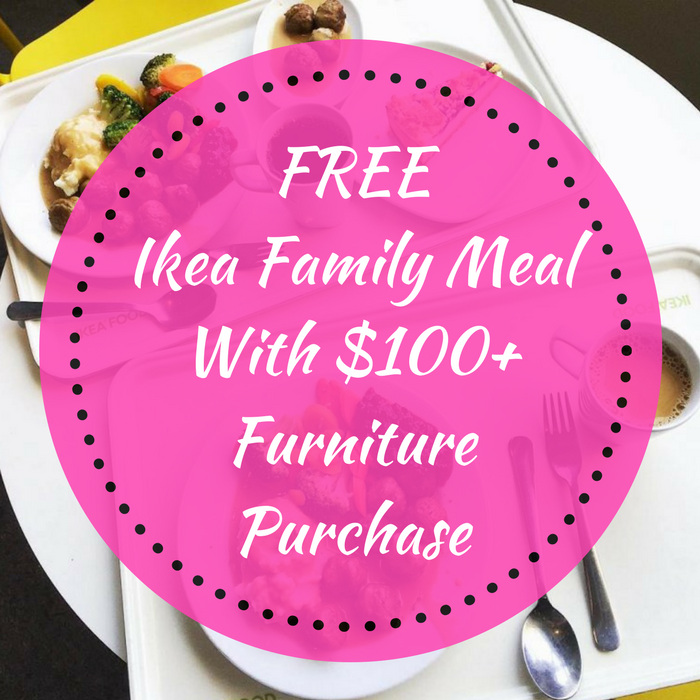 Ikea stores across the nation will be offering FREE Meals for the entire family with a furniture purchase of $100 and above! If you are in need of a new furniture then this is a great deal!